Today Dr. Wyatt shares an interview from the EOLU archives with health and nutrition coach Nina Manolson. She discusses how to eat a healthy diet even when you are super-busy with life and work as a caregiver. Reminder to sign up for Death Expo which takes place November 10-13, 2016. There will be 12 speakers in 4 days and it’s all free! Go to DeathExpo.com to register so you will receive emails about this event. 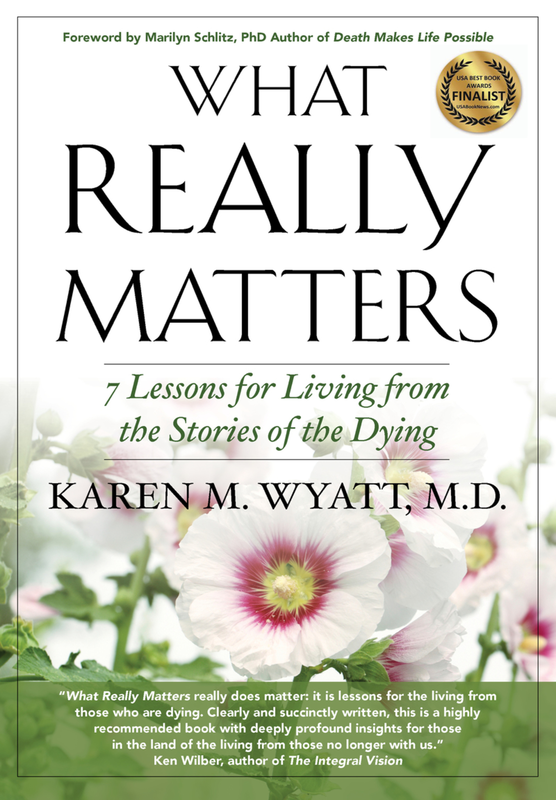 This week Dr. Karen Wyatt addresses ‘compassion fatigue,’ which is an occupational hazard for those who care for others who are suffering emotionally or physically. Death Expo is coming up November 10-13, 2016 and you can register by going to DeathExpo.com. There will be 12 speakers on various aspects of death, dying and bereavement, so be sure to sign up for this FREE virtual conference! You can help support EOLU by going to Patreon.com/eolu and making a donation of $1 or $2 per month to help defray the expenses of creating the interview series and this podcast. Thank you to all of the current “Patrons” who are offering their support – it is much appreciated!